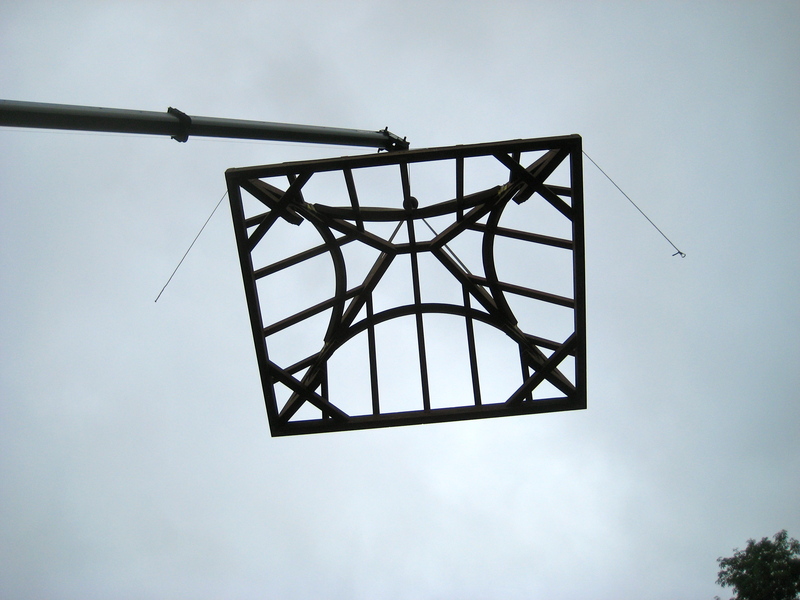 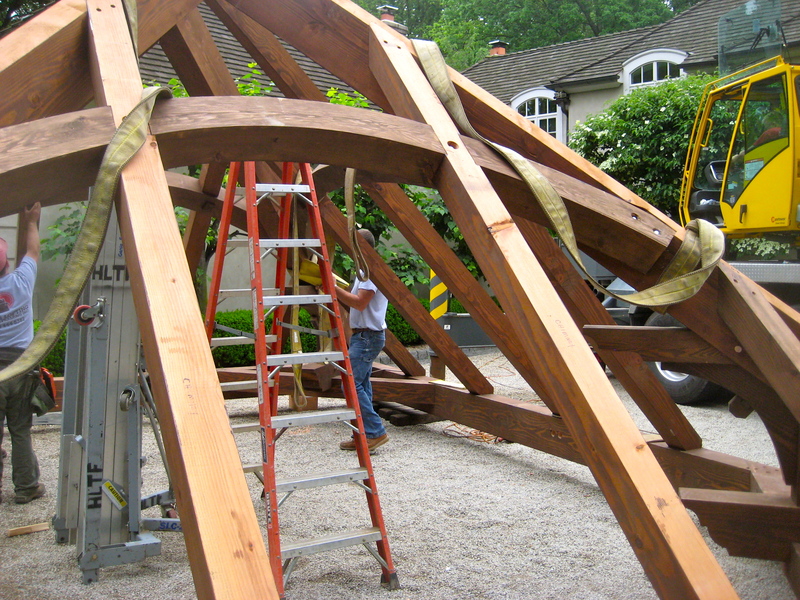 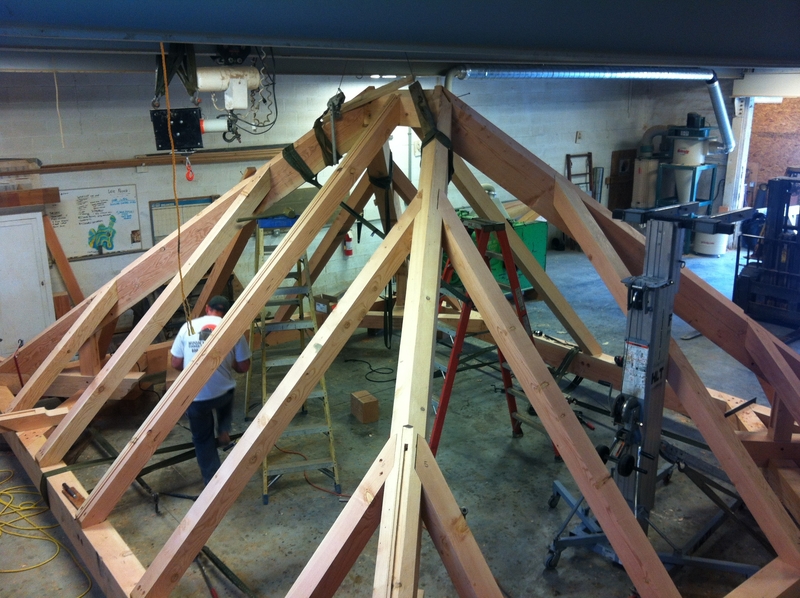 Gladwyne Pavilion - Hugh Lofting Timber Framing Inc. 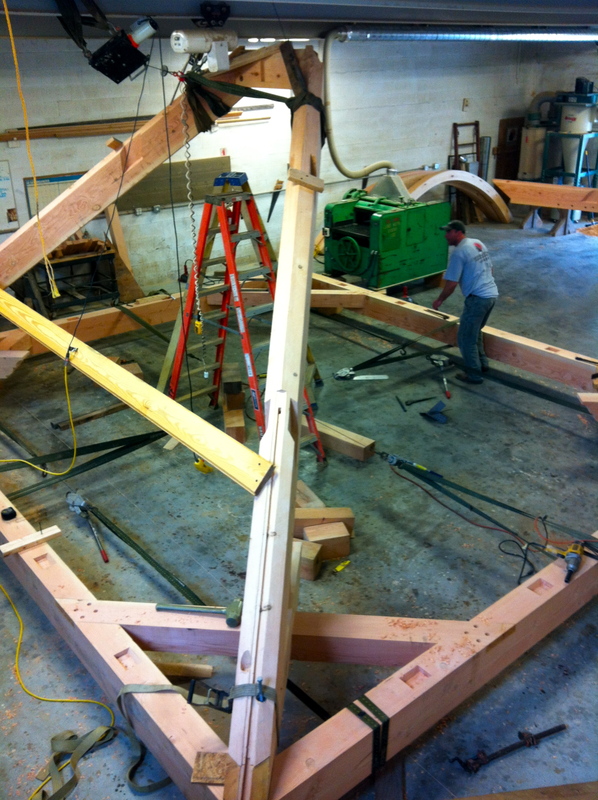 These past several weeks the crew at HLTF has been cutting out, pre-fitting and staining a new Douglas Fir, heavy timber framed pavilion. 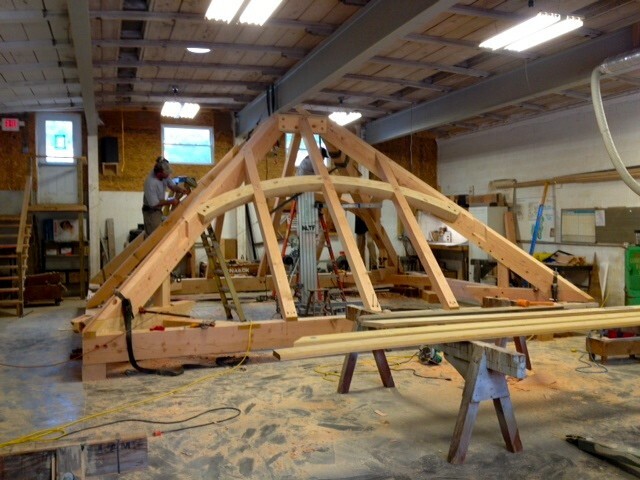 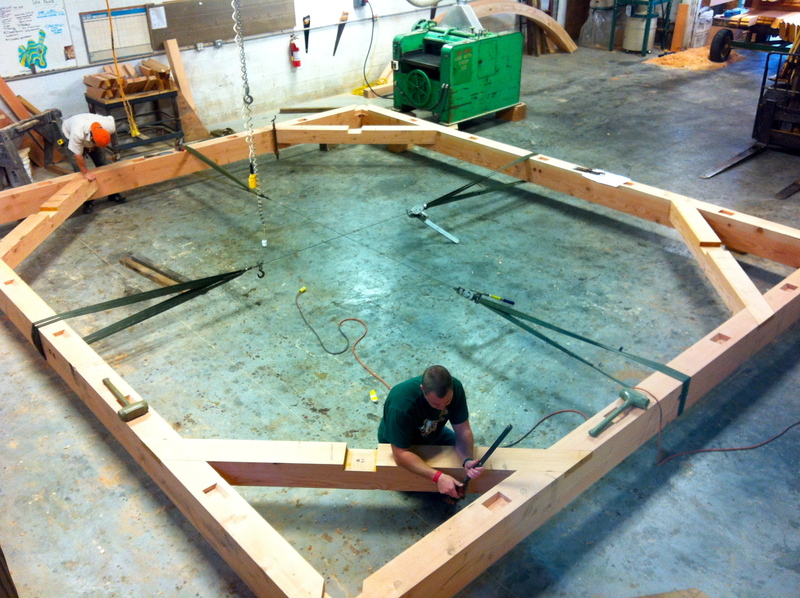 Here the crew is working on pre-fitting the pavilion in our shop. 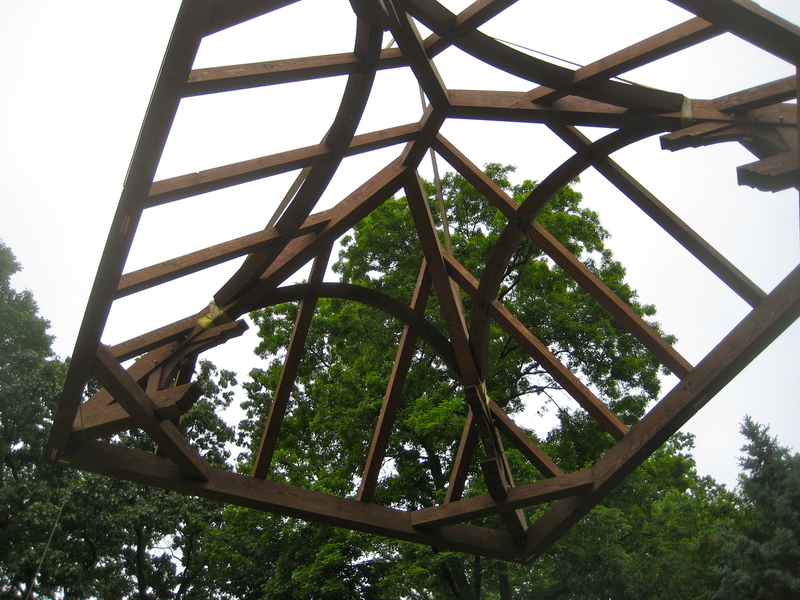 This pavilion was raised today in Gladwyne, PA. 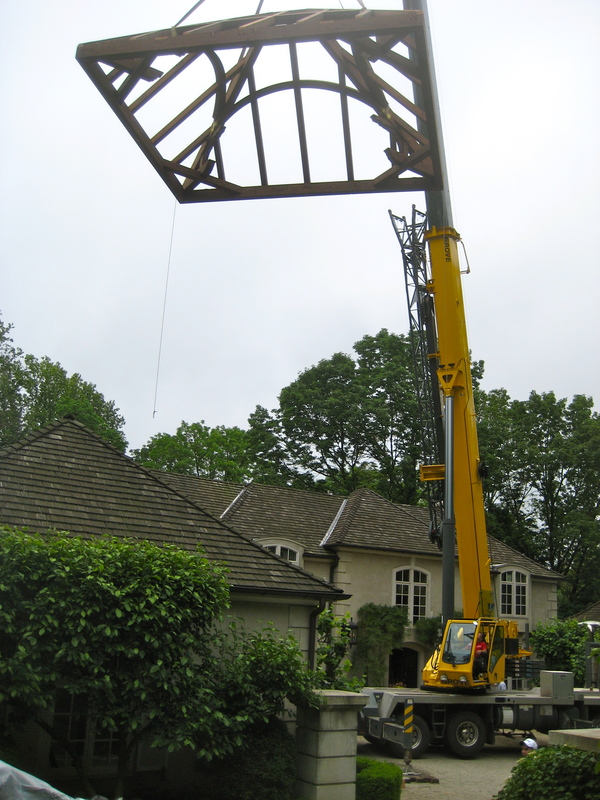 Here the pavilion is being readied to be flown into place by the crane. 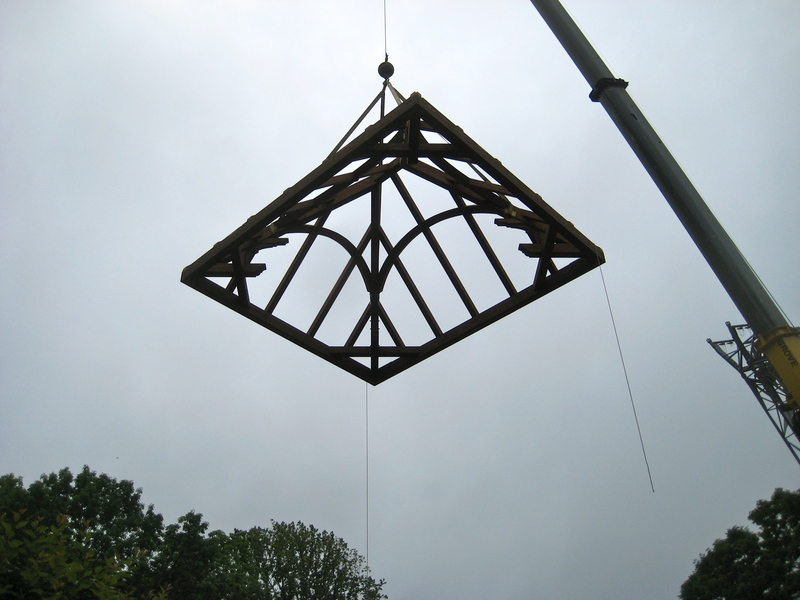 The pavilion had to be flown over the existing house and into place because of the site layout. 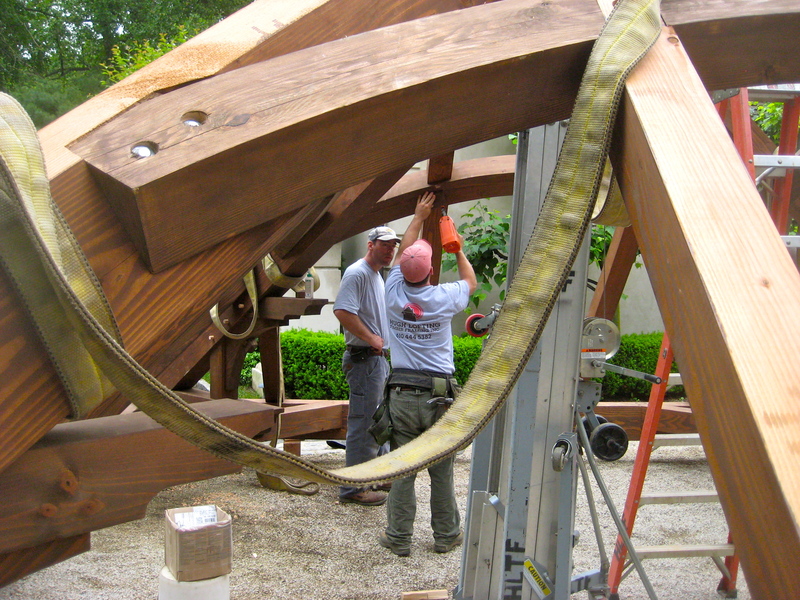 Once the project was completed, to put the finishing touches on the pavilion, we decided to pressure wash the entire job. 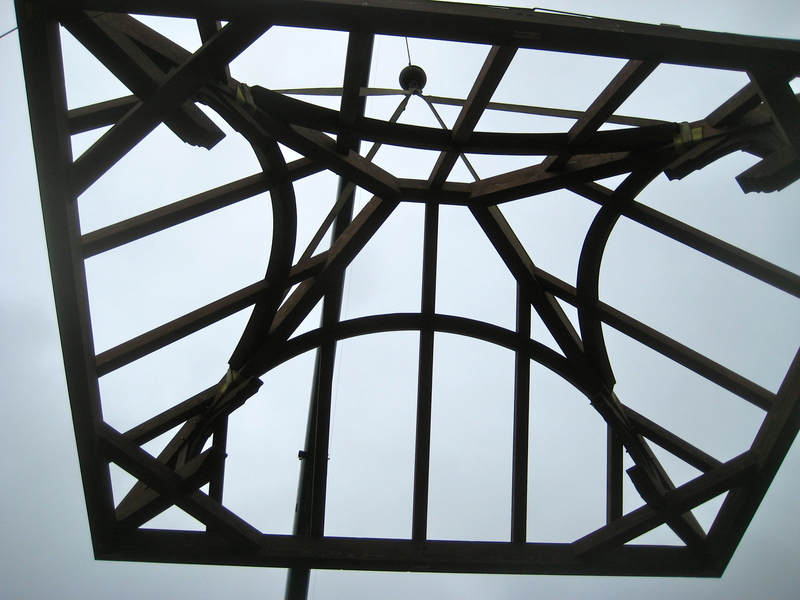 This really brought the beauty out and made the pavilion shine. 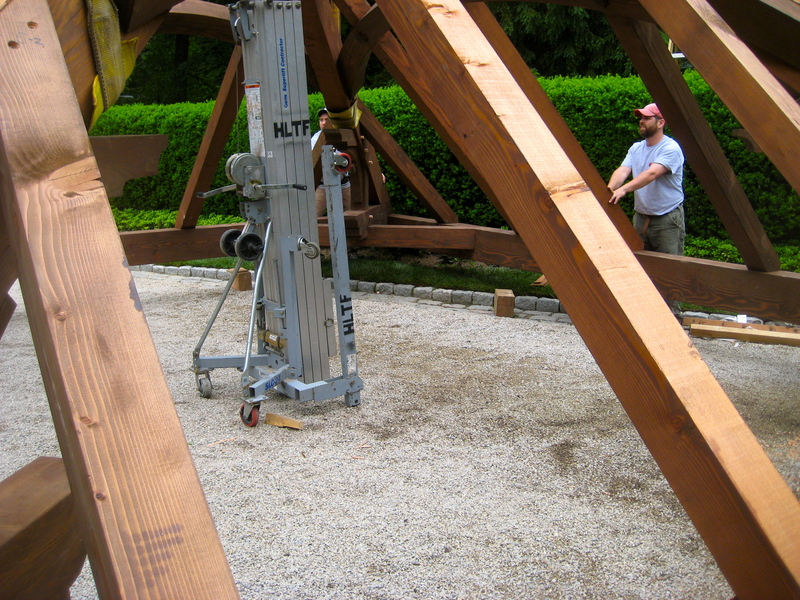 Call Joshua with GA Pressure Washers for an incredible pressure washing experience.